My daughter has a lovey that was given to her on her first Easter... one of those bunny heads attached to a blanket. 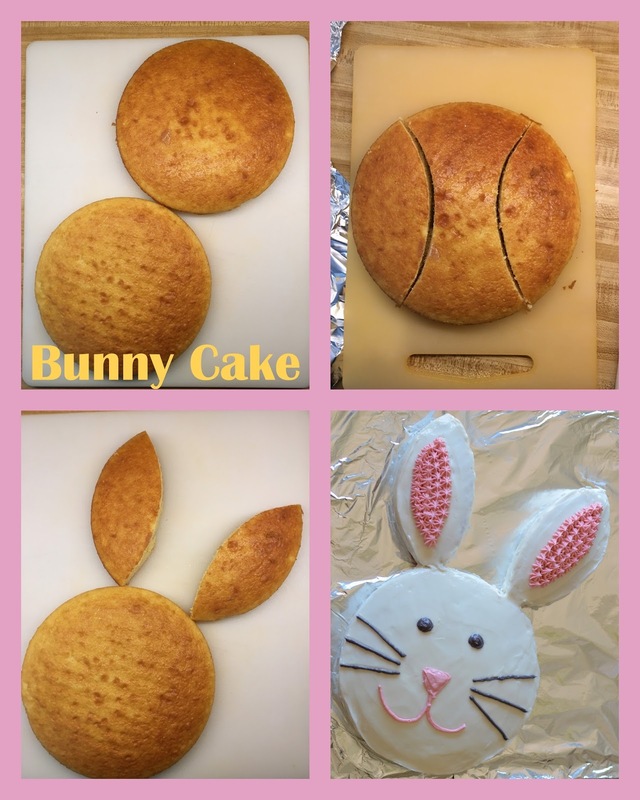 She has loved that bunny nearly to pieces, so for her second birthday, I felt that a bunny rabbit cake was only fitting! This cake comes together easily and is made of 2 round cakes! And add the eyes, mouth, nose, whiskers, etc. And there you have a cute wittle bunny wabbit! You can use the middle piece of the cake you cut the ears from as a bow tie, but I chose not to use that piece. This cake is perfect for Easter or for any occasion where bunny fanatics will be present :). Enjoy! Thank you Party Bluprints for the idea!